Trouble finding the job you're looking for? Start Here! Searching the job market for work can be difficult in even the most upbeat economy. Recruiters are your professional representative in a proficient and powerful manner, using a comprehensive analysis of your work-related skills as the source of a purposeful dialog with prospective employers. 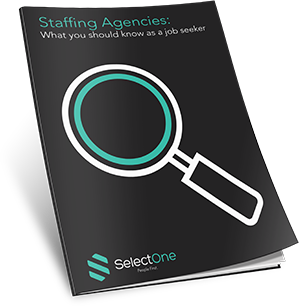 This eBook was written for job seekers thinking of contacting a staffing agency for help finding the job they're looking for. Download the ebook today and get all the info you need.